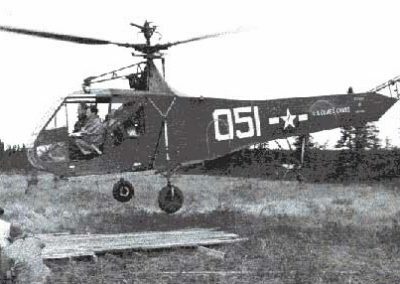 The Sikorsky R-4 was a developed from Igor Sikorsky’s successful pre-war VS-300. 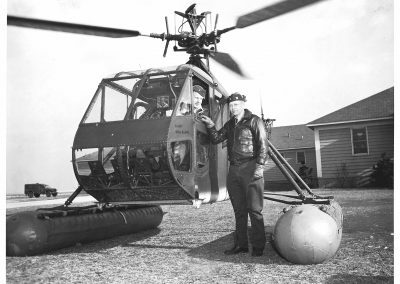 It had a framework of heavy-gauge steel tube, and all but the extreme rear end of the fuselage was fabric-covered, as were the 10.97m diameter main rotor blades. 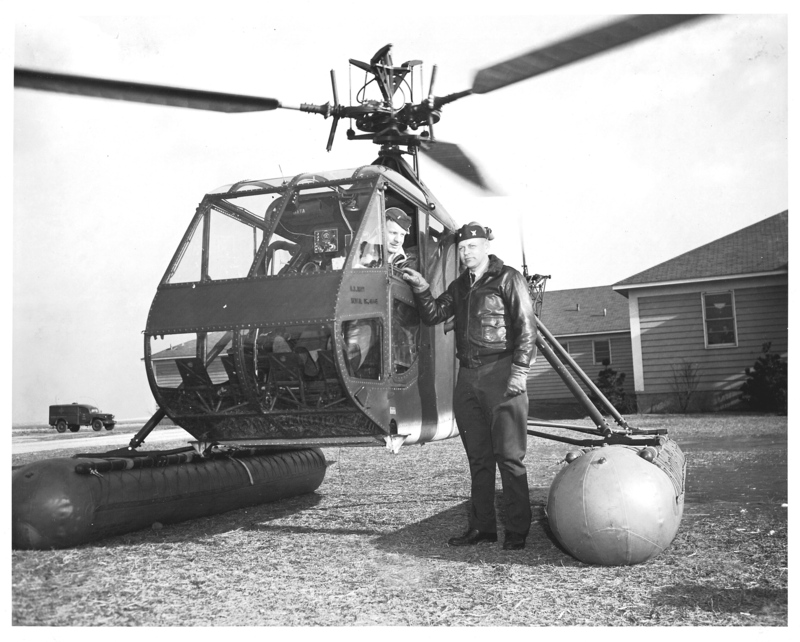 A completely new feature was the fully-enclosed cabin, with side-by-side seating and dual controls for the 2-man crew. 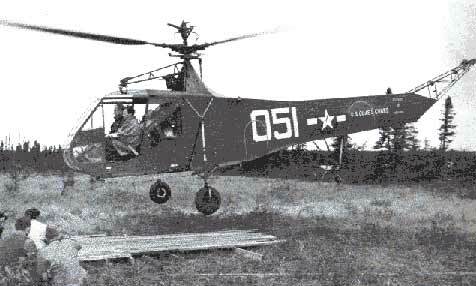 Powered by a 165hp Warner R-500-3 engine, the prototype VS-316A flew for the first time on 13 January 1942; Later in 1942 an order was placed for three service test YR-4A’s with 180hp R-550-1 engines and main rotors of 11.58m diameter, and similar changes were made to the XR-4 in 1943. Other 1943 developments included the first-ever landing by a helicopter on a ship at sea (the tanker Bunker Hill) and the production of twenty-seven pre-series YR-4B’s for further evaluation by the USAAF and U.S. Coast Guard. 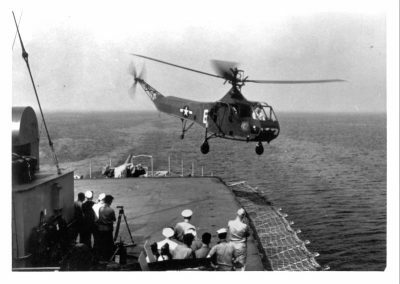 The coast Guard had 49 HNS-1 in operation prior to transfer to the Navy.